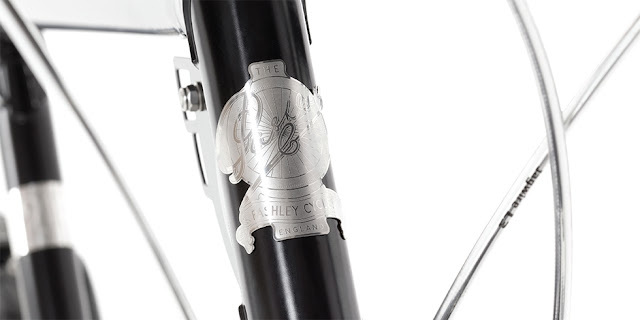 The Pashley Bicycle company in the UK was founded in 1926 and to celebrate the companies 90th year it has released two special edition bicycles. One is a steel road bicycle (that is well worth looking at), and the other is a special edition version of the Pashley 3 speed Guv'nor they've called the Speed 3 SE (Special Edition). The Speed 3 SE, as the name suggests, is geared by the ever reliable Sturmey Archer 3 speed hub. 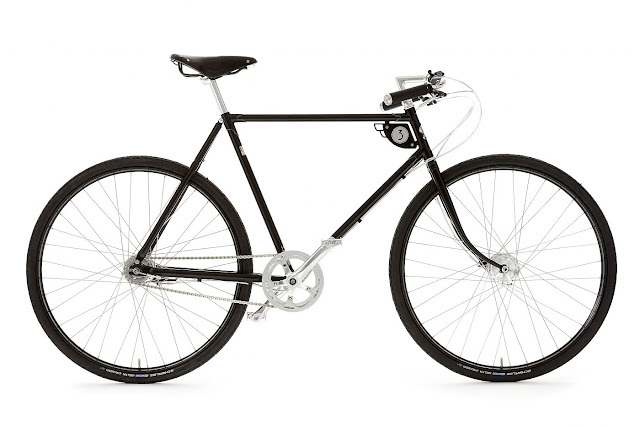 I have a 3 speed on my Guv'nor and it works beautifully - without fault every time. It's a pity the same cannot be said about the Guv'nor Speed 5, a British Racing Green version of the Guv'nor that supports a not so reliable Sturmey Archer 5 speed hub.... so to celebrate the occasion Pashley have chosen wisely by using a 3 speed Sturmey Archer hub for this edition. 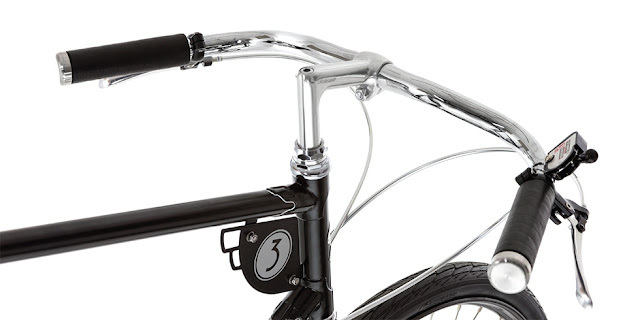 I really like the way Pashley reintroduce old styling features on their special models. 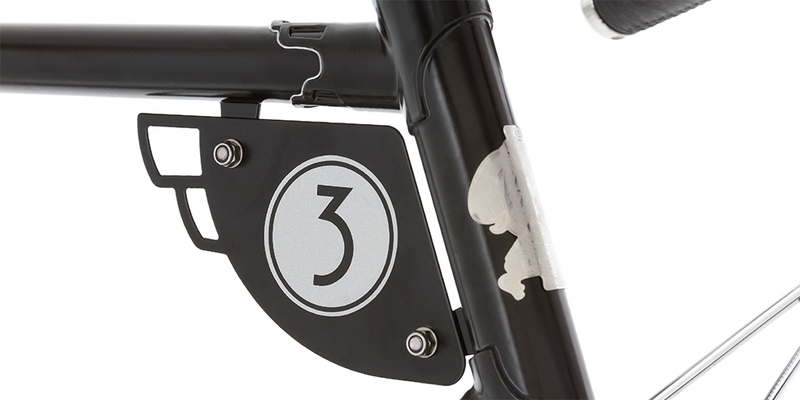 The Speed 3 SE has a frame mounted number plate (akin to the Speed 5) and proudly displays a stainless steel 1920's head badge that is unique to the 90th celebration models. 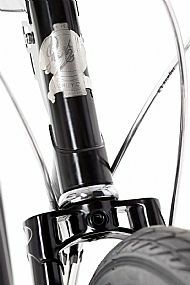 As you can see this edition also includes a special lug set that is unique to the model. 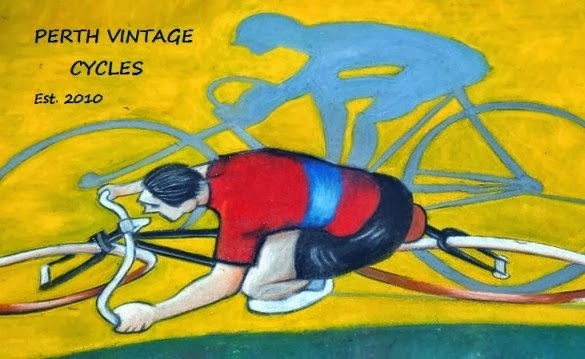 The styling is reminiscent of the 1920's and the lugs are a typical example of decorative lugs used during this period of bicycle manufacturing. The fork crown is quite different for this model. Again it's a feature that was more common on bicycles from the 1920's. It certainly adds to the unique styling of the bike. Like the Speed 5 the Speed 3 rolls on black Schwalbe rubber as opposed to the white Schwalbe rubber on the traditional Guv'nor models. The finishing kit is from Brooks of course, so quality is never an issue. The Speed 3 was first unveiled at the Eroica Britannia cycling event held at the Peak District National Park (UK) in June 2016. 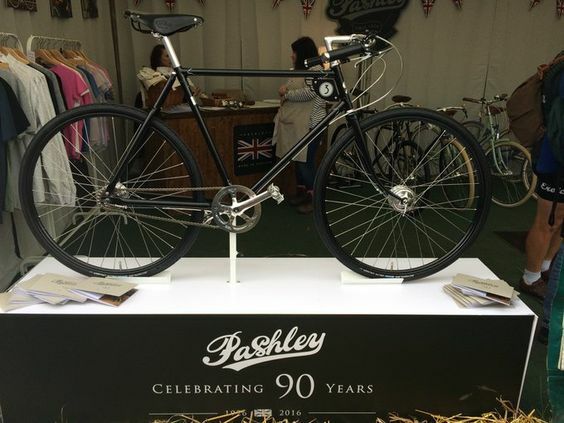 As you would expect the unveiling created a lot of interest for the Pashley brand. 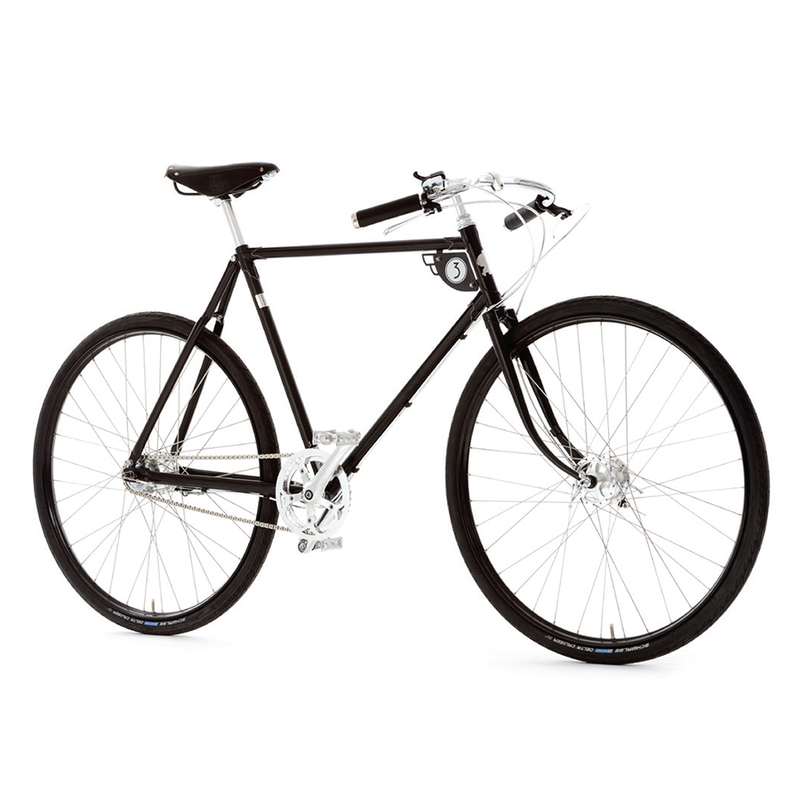 You can buy the Speed 3 special edition in black, black, or black, so once you have made your colour choice the only thing left to do is to go to your local Pashley dealer and place an order.